Stunning! 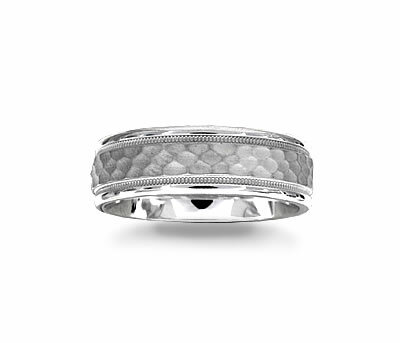 This 14k white gold wedding band has a masculine look with its hammered design and milgrain finish around each edge. 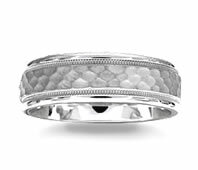 The inside edge is rounded to provide a comfortable fit.